18 holes, par 71, 6360 yards. Links. Having held eleven British Opens and two Ryder Cups, Royal Lytham is a world class golf course that needs no introduction. Established in 1886, Royal Lytham is located along England’s Golf Coast near the seaside town of Blackpool. During the courses development, Harry Colt, Herbert Fowler and Tom Simpson put their heads together to create what still is today a special golfing environment. 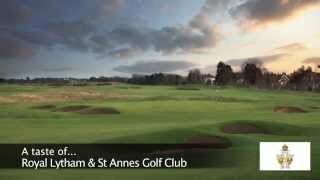 Royal Lytham and St Anne’s hosted the first of its eleven Open Championships in 1926, continuing to host again in 1952, 1958, 1963, 1969, 1974, 1979, 1988, 1996, 2001 and most recently in 2012. The course itself is everything you would expect from a class links, with the minor exception that it is no longer located adjacent to the sea. It is the perfect combination of wide fairways, lengthy rough and greens that run extremely smoothly. However, make no mistake about it; Royal Lytham’s is a difficult course not for the faint hearted. The copious pot-bunkers play a hand in many of the holes, not to mention what the significance the coastal wind can have on your ball. It may not be right next to the sea, nor have elevated and rolling fairways, but it does have character and should be at the top of your bucket list. Walk in the same fairways of some of the most prestigious professionals and book your golf vacation to Royal Lytham’s now! We suggest that you bring a handicap certificate to shown on arrival. Golf carts are available from £15 per cart. The use of buggies is not always guaranteed and will be weather dependant. Pull trolleys are also available upon request.